This villa is situated in a serene countryside called Huay Yai. It is 9 km away from Na Jomtien Beach and 11 km from the main part of Jomtien where you can find some excellent restaurants and shops. It is a perfect location for those who wish to have a private and slow-life holiday experience and those who enjoy golf since both Phoenix and Siam Country Club are only under 10-minute drive. Villa Ivory Mansion has 7 bedrooms that can accommodate comfortably up to 14 people. It is located in a peaceful countryside setting with a large private swimming pool, adjoining with Jacuzzi and kids’ pool. With huge lawn and spacious living area, it is perfect for a group of friends or an entire family. There is a playroom with a wide choice of games and toys for both adults and kids in the basement. Villa Ivory Mansion has a U-shape design with two levels. 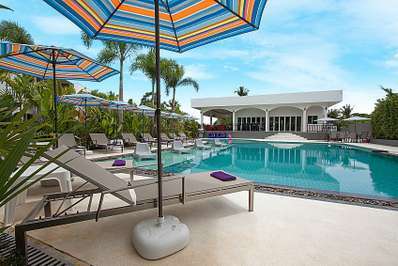 At the center, there are swimming pool, bar and terrace areas that can be accessed from any rooms of the ground floor. You can relax in a huge manicured lawn garden and share your special moments with your loved ones. For additional fun, there is a playroom with a pool table and kids’ zone in the basement, where you can also spend many joyful moments. This extraordinary villa ensures that you will holiday in total privacy and luxury. The living room faces out towards the pool and it comes with a satellite flat-screen TV with international channels, cozy U-shape couch and seating for 12 people, an 8-seat wooden dining table, including communal facilities which provide the right combination of comfort and functionality everyone can appreciate. In the back of the living room, there are two kitchens: the main kitchen and a small Thai kitchen. The main kitchen is equipped with appliances such as an oven, washing machine, toaster, rice cooker, kettle, a double sink, a 3-ring gas hop, microwave, and refrigerator. While the small kitchen provides easy access to make coffee and tea and fetch some drinks from a small refrigerator. In Villa Ivory Mansion every bedroom comes with air-conditioning, double beds, 32-inch flat-screen TVs and wardrobes. Optional five single beds are available for children age up to 14 years old (an extra bed is charged at 500 THB/night). Five spacious bedrooms are on the ground floor, while the remaining two are upstairs. Some bedrooms have en-suite bathrooms, but all have easy bathroom access. The master bedroom is more spa-like with a modern Jacuzzi bath. The bathrooms in two suite-like bedrooms have bathtubs. All bathrooms have showers, toilets and wash basins. Apart from two studio bedrooms, there are also a living room, a communal bathroom and a terrace on the second floor where you can sit back and relax. Located in South Pattaya, Pattaya. The Tamarind is a in Thailand. Located in South Pattaya, Pattaya. Villa Ragnar is a in Thailand. Located in South Pattaya, Pattaya. Lannister Villa Resort is a in Thailand.